Mulit Interest Services Group Richmond, VA MISC is a company that services the Import / Export industry. They specialize in getting your goods into the United States and out of the United states. The Access Database we've built tracks the process of containers coming in and out of the country including invoicing, transportation, payments, warehousing, etc. Bravo Imports Wine mostly from Italy and sells, through agents, to restaurants and markets including Kroger. This database application provides both a web page for entering orders as well as Quickbooks integration for creating invoices from those orders and updating current inventory and product lists. This is accomplished through an ODBC connection directly to Quickbooks. 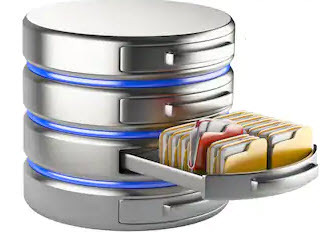 Agents and Items are managed through the Access database which communicates with the Website via MySQL connection (attached tables in the Access database). When Agents place orders, those order are viewed in the Access database, massaged and approved. Again through the use of attached MySQL tables. Blue Ridge Operations Richmond, VA Blue Ridge Products, an internet storeplace to purchase products, hired us to perform FTP integration with Access 2013. Blue Ridge creates orders and FTPs those orders to various warehouses including Amazon's warehouses to further process those orders. Blue Ridge is an import company in Richmond, Virginia that creates their own products, has them produced in China, imports those products to the United States and sells (mostly) through Amazon. This Access database is the central backbone for the company. It details all of the products, sales of those products, forecasts of the product sales, tracks current inventor levels etc. In addition to integrating with FTP software, this database has complex integration with Excel, both importing/massaging excel files as well as producing Excel files for both the company's internal personnel as well as the various warehouses used by the company.